Archipelagos are clusters of land freckled all over the earth. Many of them have been torn away from their motherland and forced to find their own way in their ever-changing environments. Others have been created by us. Whether man-made or shaped by nature, their attributes have puzzled scientists for centuries. Here’s a list of 10 and why they deserve to be called awesome. 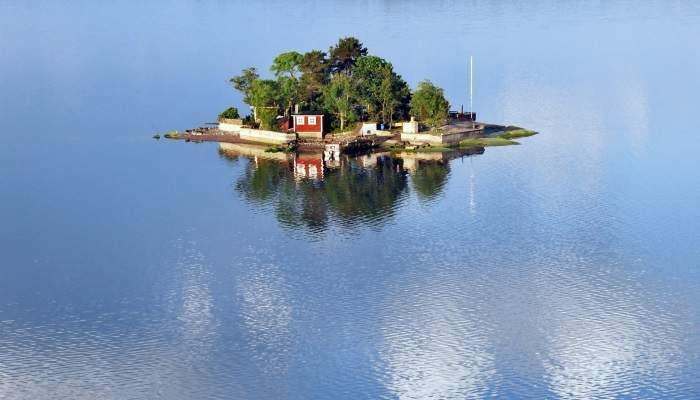 The Stockholm Archipelago is made up of around 30,000 islands, and don’t let the fact that they were formed by a glacier put you off; in summer it’s not such a cold affair, with pleasant temperatures averaging in the mid-twenties. Some of the bigger islands like Sandhamn are littered with luxury villas and host trendy summer parties under the late-night sun. Others contain modest wooden shacks – sometimes only one or two of them. A ferry will take you around, or if you feel like splashing out, hire a yacht. You should also try warming yourself in a sauna before jumping into the cool water – a Swedish tradition that we’re assured is good for your health. The Sheikh of Dubai loved his country so much, that in 2003 he decided to give her The World. So far 300 islands in the shape of a world map have been created. Construction on them is still underway, but when completed, these islands will contain multi-million pound mansions and luxury hotels. At four kilometres from the mainland, The World is only accessible by boat. 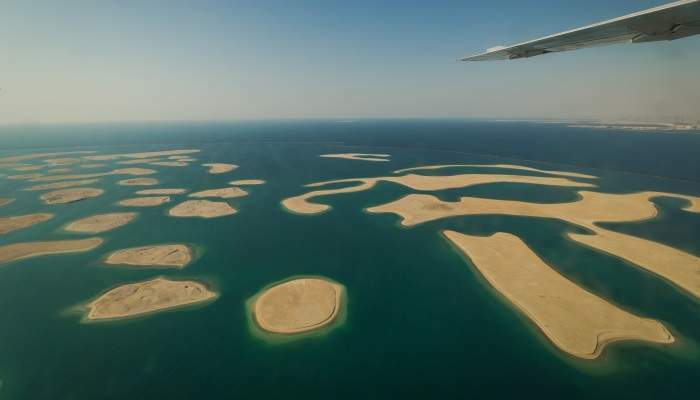 Amazingly, it’s part of a larger plan build an entire universe off the coast of Dubai, and when completed, the UAE city will literally have it all. If you can’t wait for the World to be terraformed, the Palm Jumeirah, shaped like a palm tree, is close by, with magnificent hotels which allow its guests to wake up to views of the man-made archipelago. Imagine you’re sailing through Norway’s Lofoten Islands with the wind tousling your hair, and you’re feeling like Jason in the search of the Golden Fleece. You’ll probably be brought back to reality by an announcement that you’ll be docking at the next port, a baby crying or the realisation your £5 raincoat is not as waterproof as the packaging claimed it to be. 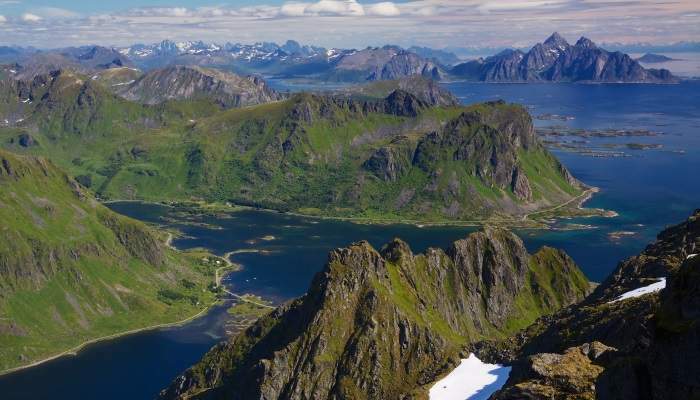 Nevertheless the Lofoten islands inside the Arctic Circle do invoke a very real feeling of awe and wonder with colossal precipices towering above. Ideally you’ll want to visit in the height of summer, when the midnight sun is in full flare or in winter when the northern lights will steal the show. However, if you happen to go during a period of fog, don’t despair; sailing among the rock formations as they materialise through the mist is extremely magical, and it will feel like you’re entering another realm. 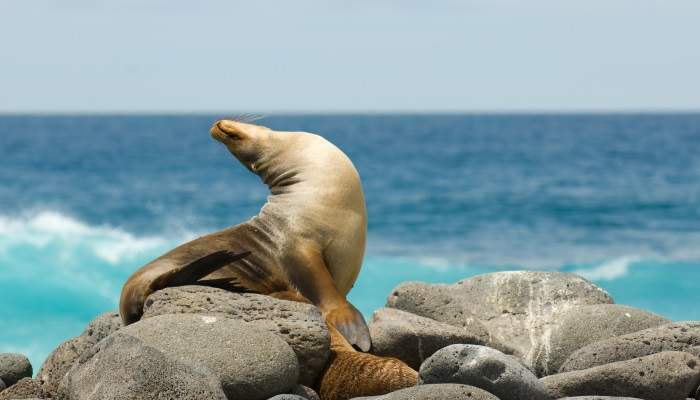 If you embark on a journey around the Galapagos Islands, be prepared to see a lot of giant tortoises loitering, marine iguanas spitting salty water, sea lions lolling around on golden beaches and humans clad in t-shirts declaring “I love boobies” (ahem, clearly a reference to the blue or red footed birds endemic to the islands). You’ll also step foot in some very contrasting landscapes. In Baltra, the capital, you’ll see cacti thriving in an arid environment. On San Cristobal you’ll step into a thick cloud of humidity – a typical characteristic of any tropical island. On Floreanna there’s no point in wearing proper shoes because the sandy streets will find a way into your socks. While a trek over the active volcano Sierra Negra on Isabella Island will demonstrate how lava has decorated the rocks on the land, making it appear like terrain from another planet. A two-and-a-half-hour flight from Oslo will take you to Longyearbyen, the largest settlement in the Arctic wilderness of Svalbard. 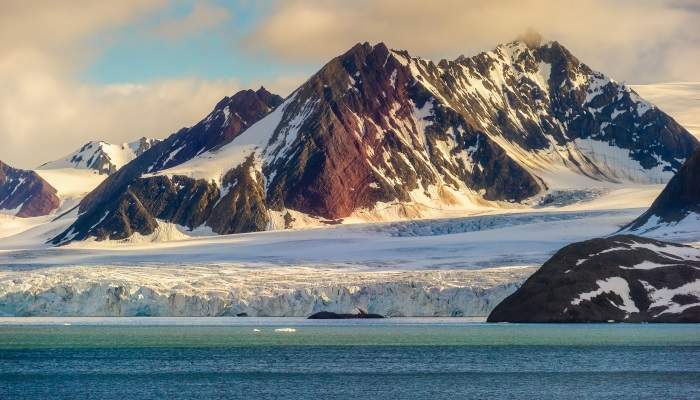 Regardless of the time of year, this archipelago remains numbingly cold, and the official website for the islands advise visitors to cocoon themselves in at least four layers of clothing before heading out into the sometimes sub-zero temperatures. Polar bear tracking, northern lights tours and ice cave exploration are among some of the exhilarating activities that draw in thrill-seekers from across the globe. A lack of roads between settlements leaves visitors with the option of a husky ride or an adrenaline-inducing snow mobile expedition across the islands. Adventurous foodies can also sample the likes of seal, whale and reindeer at some of the restaurants in Longyearbyen. 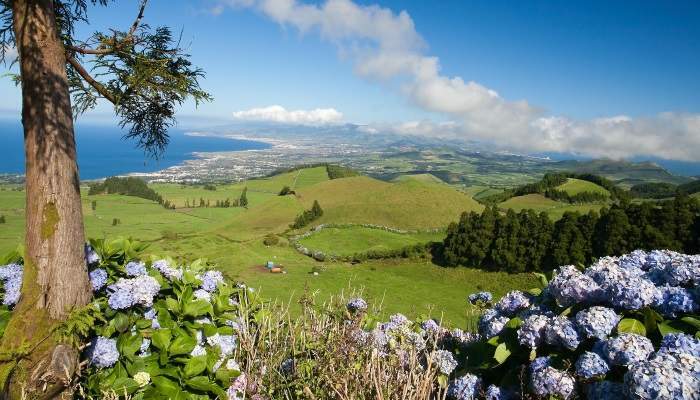 A cluster of nine volcanic islands make up the Azores. Located in the middle of the Atlantic to the west of Portugal, these islands offer beautiful alternatives to the often crowded beaches of the Algarve and Madeira, with more rustic surroundings. Flores Island is topped with sloping hills, and fringed by curious rock formations by the coast. It’s also home to beautiful rural accommodation, so you could be staying in a cottage set amongst amidst lush flora overlooking valleys and still lakes. Around 300 kilometres from Flores lies Faial Island, which hosts sea week in August. There’s plenty to see here during the festival, including music shows, exhibitions, boat regattas and tonnes of sporting activities. Residents of the Azores celebrate countless festivals throughout the year which makes it a fantastically vibrant archipelago. As one of the world’s most developed nations, it’s not common to think of Japan as an archipelago, but the country is made up of over 6,000 islands – and you’ll find plenty of variety if you decide to visit a couple. Travellers with a penchant for cute furry animals will find their spiritual home in Tashirojima, an island that houses more cats than it does human inhabitants. Or in the island of Ōkunoshima, home to an unusual number of rabbits. If you prefer human company try northern island Hokkaido, which is accessible by underwater tunnel from Honshu (the island on which Tokyo is situated). 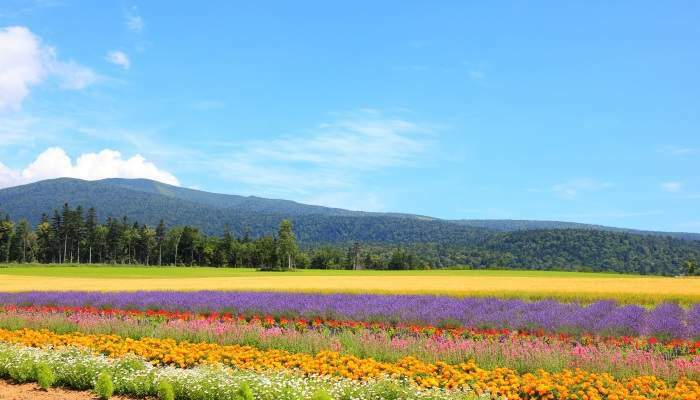 Here, you can visit Furano’s stunning multi-coloured flower fields in summer, when the flowers inject a vast spectrum of colour into the meadows and hills. Or take to the slopes in winter when the very same fields are blanked by a layer of powdery snow. 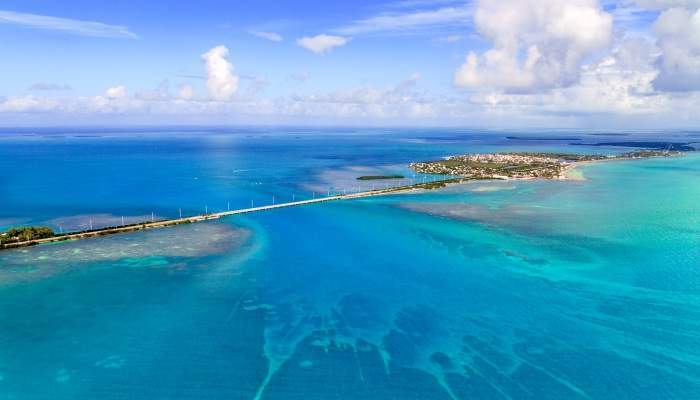 A jaw-dropping seven-mile bridge (yes seven) connects this string of islands south of Florida. You can enjoy the feeling of driving over the ocean on this incredible feat of engineering – which has featured in 2 Fast 2 Furious and Mission Impossible III. During a trip to the Keys you can have encounters with dolphins, go on boating trips, dive and snorkel in the Coral Reef State Park and visit butterfly conservatories and beautiful botanical gardens. Or you can just hang out on a beach somewhere. A fantastic choice of cuisine is available on the islands, with restaurant menus unsurprisingly dominated by an array of locally sourced seafood. The Florida Keys are also the birthplace of an American classic: Key Lime Pie. So those of you with a sweet tooth – or even devout calorie counters – should throw caution to the wind and indulge in a slice of citrus bliss. It goes without saying that the Greek islands are awesome, but there is a group of them that have remained largely untouched. The Dodecanese lie to the southwest of Turkey. You may recognise two of the celebrities of the group: Kos and Rhodes. Rhodes – famous for its stunning ancient ruins and Kos for its pumping party scene. 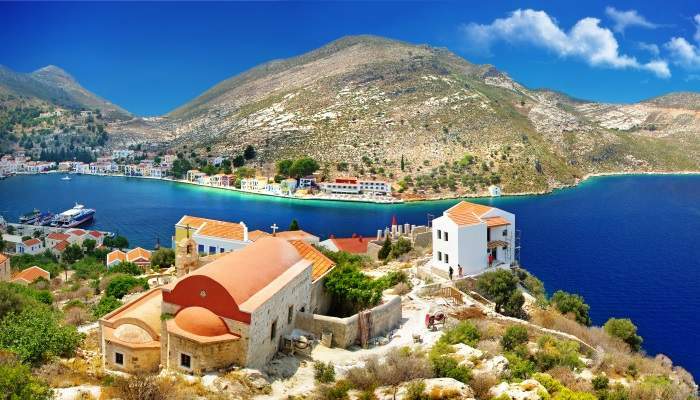 However, other islands include Nisyros, which, as legend has it, was cut away from Kos by Poseidon, god of the sea and Leros, which boasts ancient structures and archaeological sites where you can immerse yourself in the history and legends which once dominated Greek society. Take a cruise around and even stop of in Turkey – many of the islands are just a few kilometres from the mainland! Off the coast of Tanzania, this archipelago is what dreams are made of. 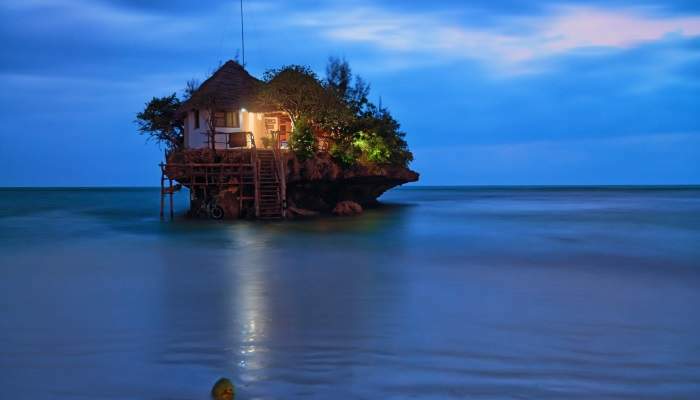 On Unguja Island you’ll find the rock restaurant. A building perching atop a boulder overlooking the turquoise ocean. It may look humble on the outside but when you enter you’ll discover attractive, contemporary design and an even more attractive menu of fresh seafood. From the balcony you may even see a fisherman below hauling the six foot long barracuda that could possibly end up on your plate later on. There are countless other unspoilt beaches on other islands like Pemba, where you can stay at an underwater hotel. This will supply you with hours’ worth of daydream material for when you get home. That is if you decide to return at all.